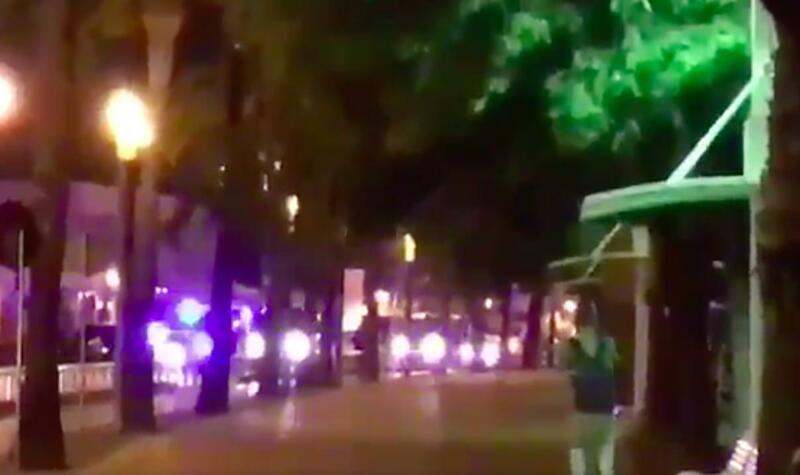 A counter-terror operation is unfolding in the Spanish town Cambrils, southwest of Barcelona. Local reports say at least four terrorists have been shot dead by police. Police have not confirmed how many suspects were killed in Cambrils. Spanish media reports are saying four or five, but this has not been confirmed. There are also reports that a number of police officers were injured during the operation. It is still not clear how the Cambrils counter-terror raid is linked to the earlier attack in Barcelona. Despite the UK-paper saying the report is unverified, Spanish media confirms the news. In addition to the four alleged terrorists shot down, there could be a fifth wounded, reports TVE. The Vanguard gives the five for dead. The Mossos work report in their account of Twitter with “the hypothesis that the facts of Cambrils respond to a terrorist attack”. The Autonomous Police has reported that they have “slaughtered the alleged perpetrators”. Those killed in Cambrils would be at least four suspected terrorists killed by the Mossos d’Esquadra in an operation linked to a possible terrorist attack in the town, according to police sources confirmed to TVE in Catalonia. Cambrils is a municipality of Tarragona, 120 kilometers southwest of Barcelona with a little more than 33,000 inhabitants.